The X-Men franchise has a rather complicated timeline. Between being around for the last 16 years, a semi-reboot, and a dash of time travel, the continuity is a bit all over the place, and there are canon stories being told in multiple eras. It begs the question if we’ll ever see all of these different portions eventually come together, and according to producer Simon Kinberg, that is definitely a goal. Well, some of the movies take place in the past tense, some take place present tense, and some of them take place in the future. It’s complicated! What we’ve done with the mainline X-Men movies, up from First Class to Days of Future Past to Apocalypse is they jump 10 years in the past with each movie. First Class was ’63, Days Of Future Past was ’73, and Apocalypse is ’83. The hope and intent is that we will be able to jump enough decades that maybe they can all meet up somehow someway someday. 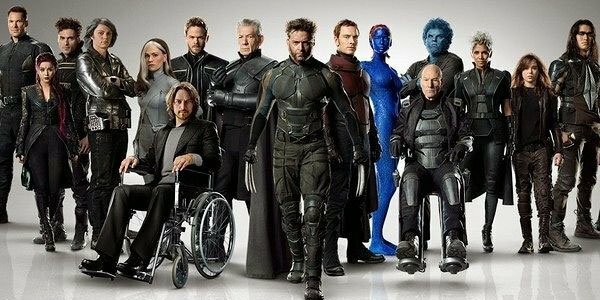 As Simon Kinberg mentioned, the core X-Men team will still be back in 1983 at the beginning of Bryan Singer’s X-Men: Apocalypse, but Deadpool is clearly set in the present day, and it’s expected that the upcoming Deadpool 2 will be the same (though the inclusion of Cable in the story means that time travel is something the film may play with). The Wolverine 3 will be set in the future, and the settings of both Josh Boone’s The New Mutants and Doug Liman’s Gambit are currently unknown. It will certainly take some narrative legwork to bring all of this together – particularly if the franchise wants to continue using the same actors in their respective roles – but that challenge could easily lead to some comic book movie greatness. Of course, when we will see this all unfold also remains a mystery. X-Men: Apocalypse is set to come out in a few weeks on May 27th, but none of the other aforementioned upcoming franchise titles have release dates on the calendar. As a result of this, it’s possible that Simon Kinberg’s vision for bringing all of the characters in the universe together may not come to fruition for a number of years. Still, it’s certainly something to which we can look forward. Do you think this is a good plan for the X-Men movies to eventually unite the different portions of their timeline, or do you like the idea that stories are being told in multiple eras? How do you think it will all go down? Hit the comments below with your thoughts!